Students' reading fluency develops just like bike riding skills. Our little ones start off reading word by word with occasional "falls", but with lots of practice, they gain speed and momentum to glide along and make meaning. 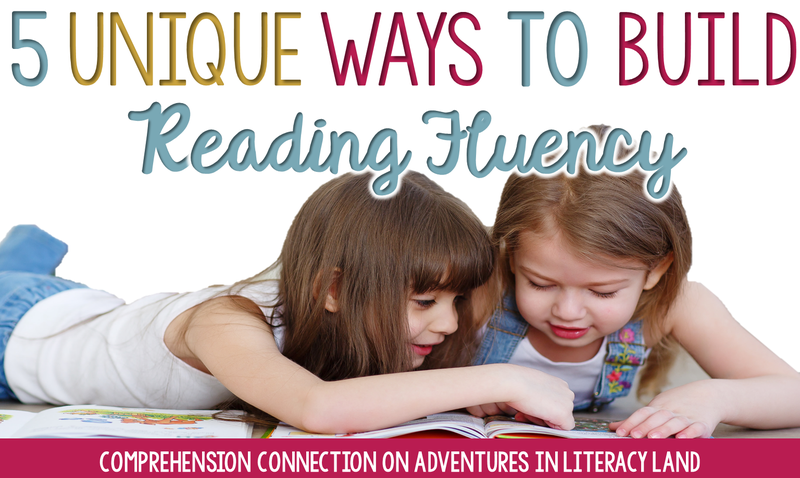 The challenge of reading fluently requires several subskills in order for a reading to experience fluency success. What are those skills? Developing reading fluency begins in the middle of first grade. 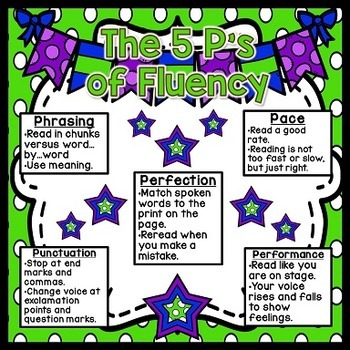 As we think about reading fluency, we can break the skill down into five key components: phrasing, pace, accuracy, intonation, and attending to punctuation. If you think about it, these five components are supported by the students knowledge of decoding strategies, their understanding of phonics rules, their ability to track print with the eyes, matching spoken word to print, and an understanding of voice to add expression. Today, I'd like to share a collection of fluency building activities that you may add to your teaching repertoire starting with the freebie to the right. When teaching or working on fluency, I project this or have the black and white version printed out for my kids. When we work on one of the P's, it allows us to have common language. 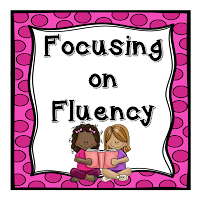 As you work on fluency, there are a few things to keep in mind. First of all, selecting material at a students independent level is crucial. Students should be able to read the text with ease and very few if any errors. Why? This helps the student build automaticity and increase their reading rate. With instructional level text, we can still build fluency, but the methods change. With instructional level text, we use repeated reading to increase rate, improve expression, and build accuracy. Repeated readings can vary using methods such as choral reading, echo reading. reader's theater, recorded readings, close reading, and shared reading. Finally, it is critical that students hear fluent reading. We need to read to our kids for multiple purposes (to model fluency, model thinking, and demonstrate skills), but kids need to hear parents read to them too. Keep in mind one of the easiest stations teachers can use during the guided reading block is listening to reading. Books on tape and websites like Epic or RAZ kids are so easy to use. With Bang, you place sightwords into a pile with the addition of Bang! cards. The student tells how many cards he/she'd like to try and flips one at a time. If he/she draws a Bang! card, all of the words go back into the pile. The winner has the most cards at the end of play. Another fun game is Swat! 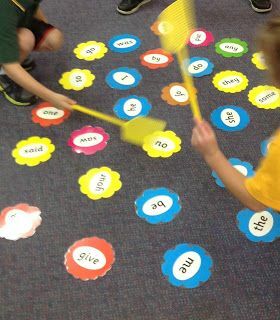 With Swat!, I place our sightwords in a pocket chart, and we use flyswatters to find the words. This pin sort of gives you the idea. Kids love to be social, but guess what? We can work on fluency at the same time. Partner reading can be as simple as sharing a book and alternating pages. But how about alternating lines of poetry or using partner scripts or plays. 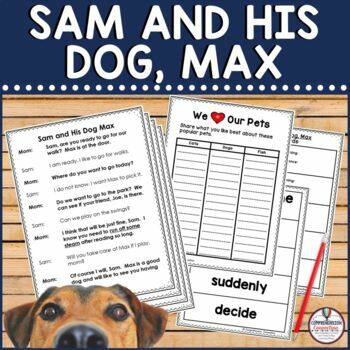 This freebie in my store is the introductory script for the Sam and Max series of partner plays I've written. The feedback on them has been quite positive, and I hope you can use this one for something a little different. These work well in small group reading as well as with partners as a fluency work station. Students read through the script three times (like a close reading experience) and with each reading, they complete a written assignment related to the text, so in the end, you are also building comprehension skills too. We all know how much kids love reader's theater, and although it takes a lot of paper to print them, you can easily reuse them year to year. You may find they last longer if you place them in pronged folders, and you can easily mark the parts by using this method. Reader's theater works well as a station, but I also enjoy using them in small group. For a great place to find free or inexpensive scripts, you can [HERE} for a look at what TPT has to offer, but I've also found free scripts by just googling it. One idea you may not have tried is Radio Reading. Yes, it is what you think. Kids pretend they are running a radio talk show or program. They write and practice their scripts, and then, you record it. It has the same impact as reader's theater, but the production element of it could be loads of fun too. If you have morning announcements done by the kids or a video production team, this would be easy to do. However, simply using a cell phone to videotape. Here is another option you may not have heard of. Closed captioning can be used with television programming, but it can also be used with karaoke. In fact, this is one of the things I love about RAZ kids. The words are highlighted as the stories are read. Closed captioning helps kids with eye tracking and pace. Here are two sites you might try out. The final suggestions I have for working on phrasing, punctuation, sightword recognition, and accuracy is with poetry. Imagine how excited your kids will be win you announce that you'll be hosting a Poetry Jam where they will share their favorite poems as well as poetry they've written. Want to kick up the excitement a notch? Let your kids put their poems to rap! You can work on phrasing and rhythm and so much more. Certainly, there is no end to what you can do. 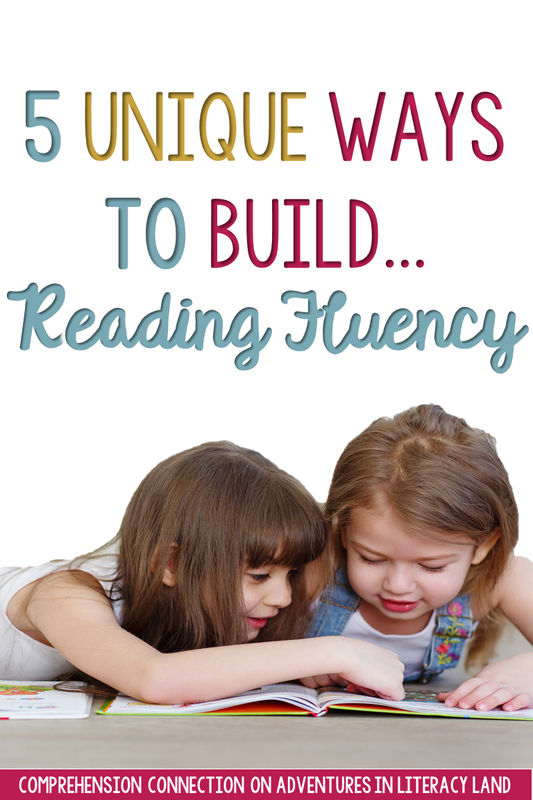 For additional ideas, this collaborative Pinterest board is filled with fluency ideas. It includes lots of free resources, blog posts, printables, and links to great sites.